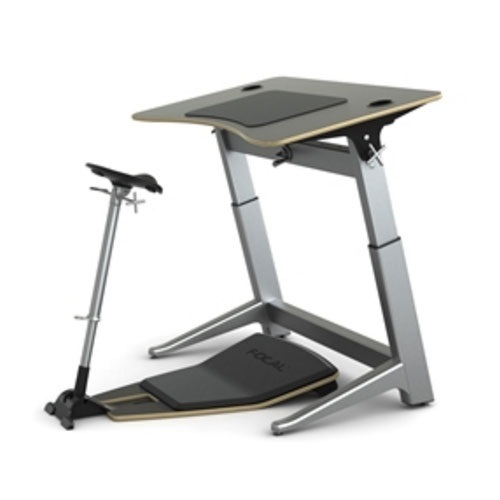 The Locus 4 Bundle comes with the Focal Locus Seat and the 30" x 48" Locus 4 Standing Desk. The Safco Focal Locus Seat is designed to adjust to every move you make. Instead of sitting down, you lean into the Focal Locus. Your body is then supported in a neutral posture that engages major muscles and increases circulation. The Locus Desk lifts and lowers effortlessly with the turn of a precision German hand crank. The American-made desktop easily pivots from flat to a 15 degree angle, enabling you to find your perfect working position. Accommodates heights between 4'11" and 6'8"
Overall Depth: 37 to 45"
Overall Height: 31 to 41"
Seat Size: 16” x 10 1/2"
Height adjusts in 1/4" increments, with each turn of the handle raising the desktop 1/4"
Weight Capacity: up to 180 lbs.